Industrial Quality Inline static mixer 3/4"
Excellent for instant mixing of injected chemicals such as chlorine, soda ash, or sodium hydroxide. The StataMix mixer has NO moving parts. 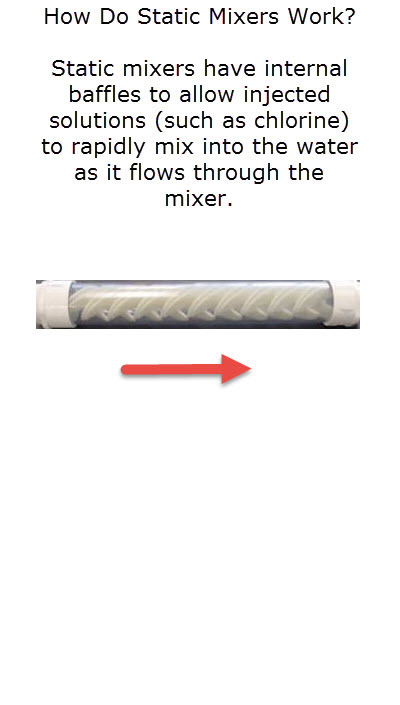 The mixer will instantaneously and completely mix any combination of gas or liquid with the water stream. The unique baffle design continues to redivide and recombine the streams as it passes through, generating a lot of turbulence, ensuring complete mixing with no energy, moving parts and very low pressure loss.